What is a creative breakthrough? In writing or art, it's finding your authentic voice, overcoming the critic, and discovering exciting new ideas. 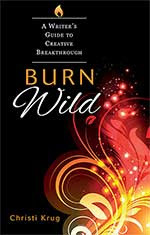 Burn Wild - a mini book release trailer!